As many other stories, this one begun with a chance to travel to Ecuador. Ondrej, one of our team members, was standing at the crossroad of his life and he did not hesitate to seize this opportunity. Now he says it was one of the best decisions in his life. He was always interested in natural remedies which help to heal not only our body but a soul. Thanks to this interest, he got the opportunity to visit Ecuador in 2013. He went to Amazonian rainforest where he met a tribe called Kichwa and attended a shaman’s ritual. This ceremony lasted 15 days and completely changed his life as he could see the world from the entirely different perspective. From this moment he knew that he wants to help to this region because deforestation is one of the biggest issues in Napo Province. 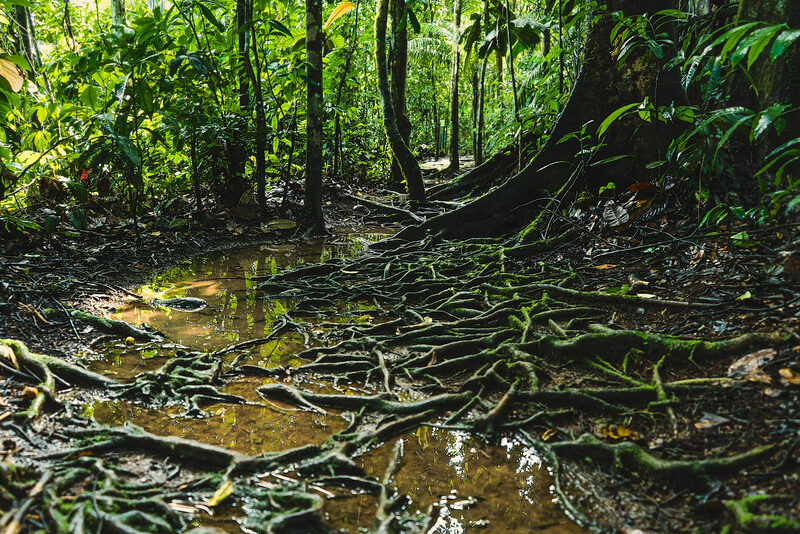 The project Soul of the Forest is one of the many answers to this global issue, and the primary goal is to stop deforestation in Napo province. The tropical rainforests are one of the last places on this planet which are untouched by the human civilization and show us a perfect harmony between nature and human. Saving this heritage for future generations is crucial. Our another important step is to build an Eco Center through which we want to help people to reconnect with nature and rediscover their inner wealth. The Amazon rainforest is one of the few places which gives as an opportunity to feel the natural rhythm of life, unaffected by the modern human society.